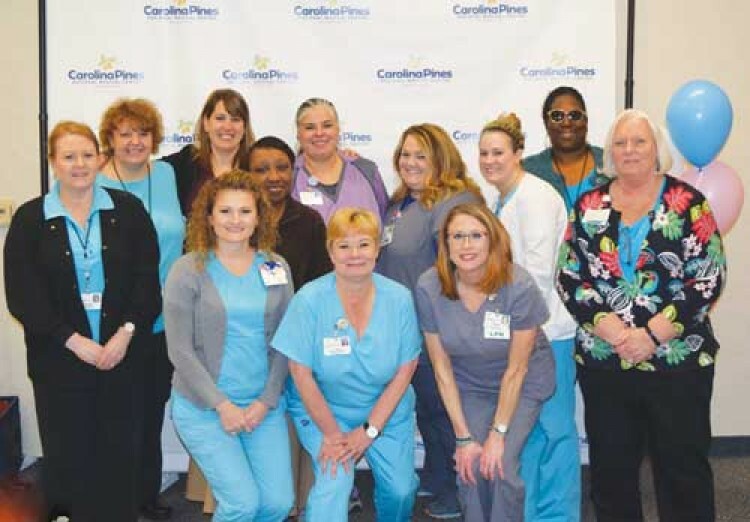 Women’s Care of Hartsville is embarking on a new and exciting option for prenatal care, CenteringPregnancy, here at The Medical Group at Carolina Pines Regional Medical Center. Each expectant mother will receive an individual health check with their provider, followed by additional time in a two-hour group setting with 8-12 other women with similar due dates. The expectant mother (and her birth partner if they choose to attend) share their concerns, questions and experiences with one of the providers. Refreshments will be provided at each session. Sarah Covington-Kolb, MSW, MSPH of the CenteringPregnancy Research and South Carolina Expansion Project at Greenville Health System visited the staff of Women’s Care this month to introduce them to the project. Dr. Scott Daniel, Dr. Leroy Robinson, and Linda George, Certified Nurse Midwife and their nurses are all completing training in this program and hope to introduce it to their patients later this spring. • Group sessions are scheduled in advance which allows for easier planning, and no long waits in the waiting room or exam room. Each group will start and end on time. • CenteringPregnancy™ is a way for you as the patient to be more actively involved in your own healthcare. You will record your own health data by taking your weight and blood pressure and still have private time with your provider for your belly checks. • CenteringPregnancy™ offers a way for you to have more time with your provider and be more informed and prepared for pregnancy, birth and how to care for your baby. • CenteringPregnancy™ participants have higher breast-feeding rates and are 33% less likely to have a preterm birth. • Groups will meet for about 10 sessions during your pregnancy at the same time each month. 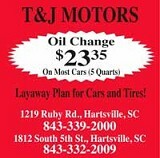 Ultrasounds will be scheduled at a separate appointment. • CenteringPregnancy™ is recognized by all insurance providers and involves no additional cost to participate. More information will be forthcoming as the program sets to begin. 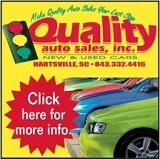 For more information, please contact Women’s Care of Hartsville at: 843-339-9222.